National Stroke Awareness Month has been observed throughout the United States during the month of May since 1989. The National Stroke Association, the American Heart Association, and other health-focused nonprofits spend the month working to educate the public about stroke risk factors and treatment options. Strokes occur when blood vessels delivering oxygen and nutrients to the brain are blocked or ruptured. When this happens, brain cells begin to die. The level of impairment a patient experiences will depend on what area of the brain the stroke takes place in. 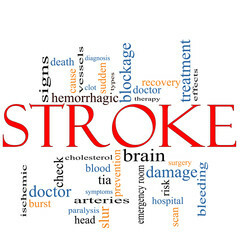 However, stroke is the fifth leading cause of death and a leading cause of disability in the United States. The relationship between stroke and gender is complex. More men have strokes, but women are significantly more likely to die from a stroke. Treating a stroke depends on whether the patient is having an ischemic stroke blocking an artery or a hemorrhagic stroke that involves bleeding into the brain. The vast majority of strokes are classified as ischemic strokes. For an ischemic stroke, doctors work to restore blood flow to the brain. Aspirin is given to prevent blood clots from forming. An intravenous injection of tissue plasminogen activator (TPA) may be given through a vein in the arm or delivered directly to the brain through a catheter in an artery in the groin. In some cases, mechanical clot removal is also appropriate. To prevent a future ischemic stroke, the doctor may recommend a carotid endarterectomy or angioplasty to open up an artery that has been narrowed by fatty deposits. Rehabilitative services can begin as early as 24 to 48 hours after a stroke. It's common for stroke patients to spend several weeks in a rehabilitation facility before graduating to outpatient treatment. A patient's recovery rate is highest during the first few weeks after a stroke, but most patients will continue to make gains in function for several months. In some cases, improvements can still be seen years after the stroke. Patience and a willingness to comply with treatment recommendations are key to maximizing stroke recovery. Since every second counts when a patient is suffering a stroke, a delay in treatment or misdiagnosis may be the basis of a malpractice claim. To learn more about protecting your right to compensation, please contact Neblett, Beard & Arsenault.